Genres: Magical Girl / Children's? Summary: A girl is visited in dream by someone asking her to become a magical girl to save the world. .
Aoi Yuuki (悠木碧) as Madoka. 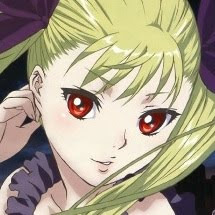 Although she too plays a loli role here, she doesn't sound anything like Princess Mina from Dance in the Vampire Bund, except when whe's screaming. 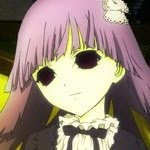 In fact, she sounds more like Sunako from Shiki. 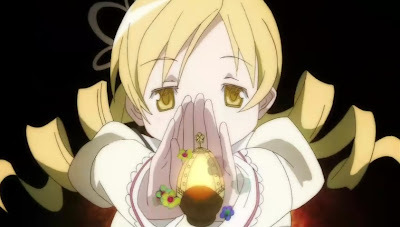 Personal comments: Magical girl anime is magical girl anime. It follows a specific formula and usually doesn't go off track. Use your own judgement to decide whether you want to pick up a magical girl anime to watch.